Christmas is fast approaching so if you still haven't started your christmas shopping then it's about time. Don't know what get for your loved one's? SK-II has got you covered, we all love to have amazing skin at all times no matter at what age, so what's better than treating them to a gift of everlasting beauty! SK-II has created a limited edition line of Facial Treatment Essence bottles for christmas, this special collection captures the beauty and vitality of flowers through transformation. Red Tulips – Passion: Symbolizing vitality and dynamism, the Facial Treatment Essence in this design is invigorated with a lively bloom of tulips. Designed with petals in bold, and energetic red strokes. Purple Hydrangea – Compassion: Symbolizing appreciation and gratitude, the soft petals are coupled with slight variations in colours to add a mysterious appeal. Yellow Freesia – Elegance: Adorned with elegant freesia petals in warm yellow hues, this beautiful is the perfect gift for the elegant women. Green Cypress – Wisdom: Strength and eternity, this intricate pattern of the overlapping leaves creates a cool and thoughtful image. 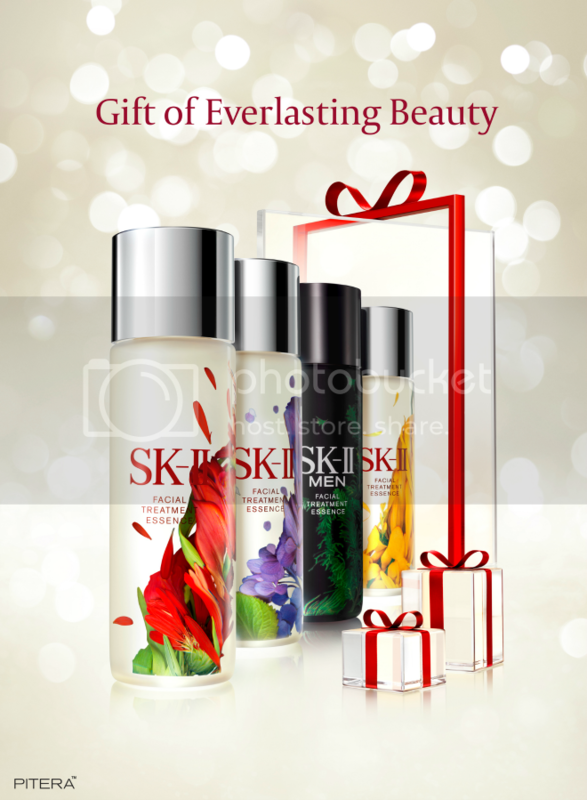 These limited edition bottles will not only make the perfect gift for your girlfriends and family, but you could also treat your man or even your dad to the SK-II Men Facial Treatment Essence. Everyone is in for a treat! Have a lovely christmas and enjoy the gift of everlasting beauty.